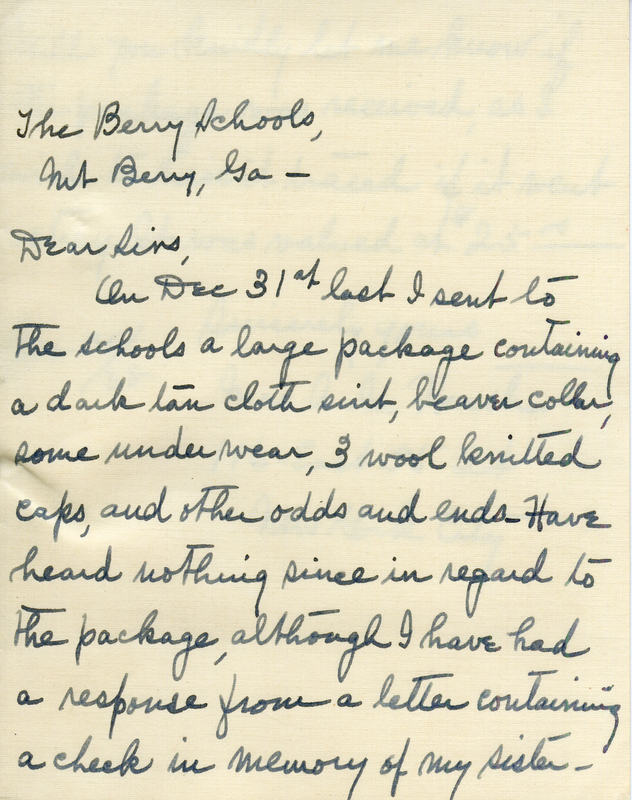 Mrs. Heath explains that she sent a package of clothing to the Berry Schools and wants to know whether or not it had been received. 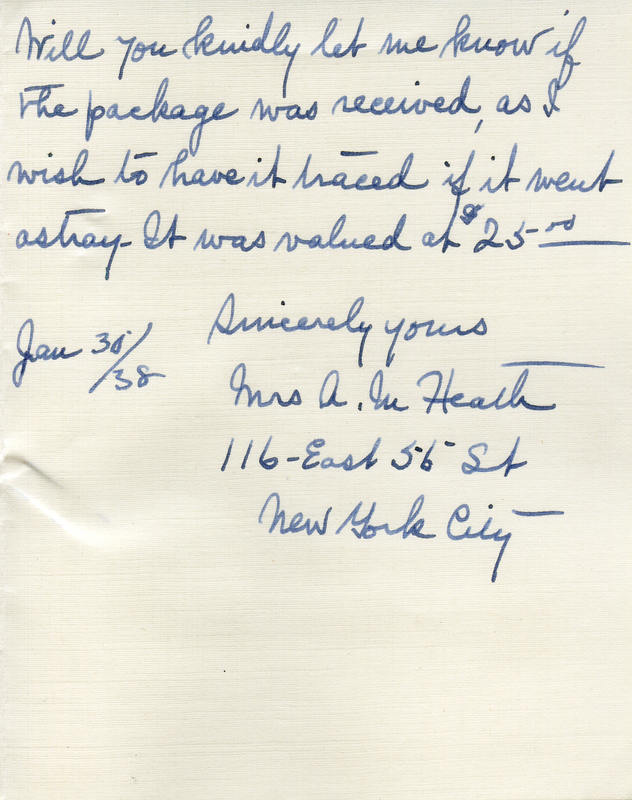 Mrs. A. M. Heath, “Letter to The Berry Schools from Mrs. A. M. Heath.” Martha Berry Digital Archive. Eds. Schlitz, Stephanie A., Cassie LaJeunesse, Jessica Hornbuckle, et al. Mount Berry: Berry College, 2016. accessed April 19, 2019, https://mbda.berry.edu/items/show/14461.